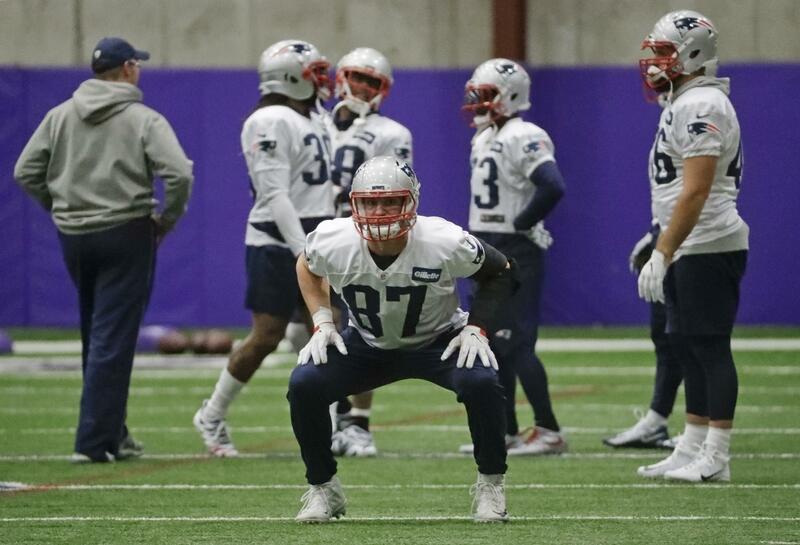 BLOOMINGTON, Minn. – Patriots tight end Rob Gronkowski has been cleared from the concussion protocol and will play in Sunday’s Super Bowl LII against the Philadelphia Eagles. Gronkowski said he is “ready to roll” and has no limitations. He had been sidelined since taking a helmet-to-helmet hit from Jacksonville’s Barry Church in the first half of New England’s AFC championship game win. In addition to Gronkowski’s return to practice, the Patriots also got a visit from former defensive lineman Vince Wilfork, who won Super Bowls with New England during the 2004 and 2014 seasons. Published: Feb. 1, 2018, 11:05 p.m.